Nutrients are essential for the health of your skin. 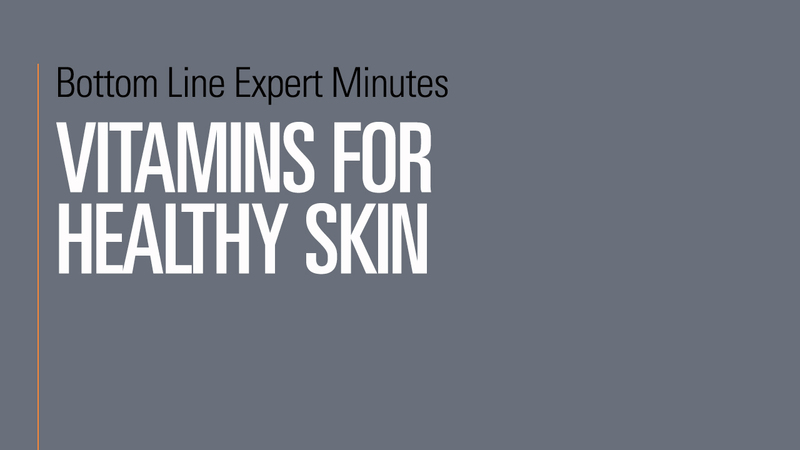 In this video, expert nutritionist and skincare guru Ginger Hodulik Downey, MS, CNS, states that the two most important vitamins for healthy skin are vitamin A and vitamin C. Vitamin C is needed for collagen production, which helps maintain firm, taut and plump skin. Taking vitamin C during the day is helpful. Vitamin A does the opposite—it increases skin-cell turnover and stimulates the production of new skin cells. Vitamin A is best taken at night.